We knew that the Cisco 1921 is the better replacement for the previous 1841 Cisco router. 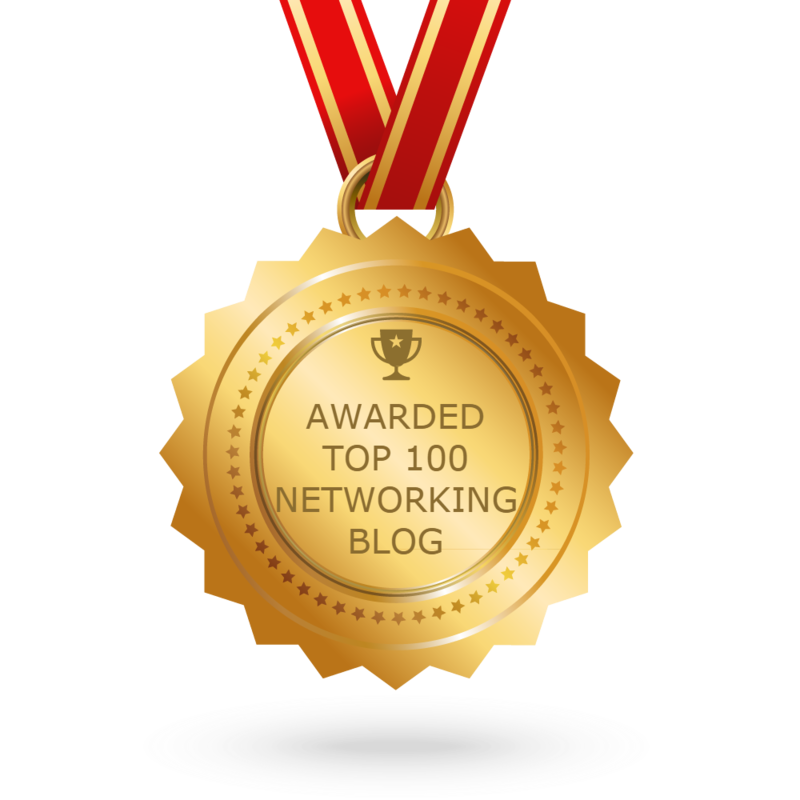 Indeed, Cisco 1921 got a wide recognition among the Cisco 1900 router users. 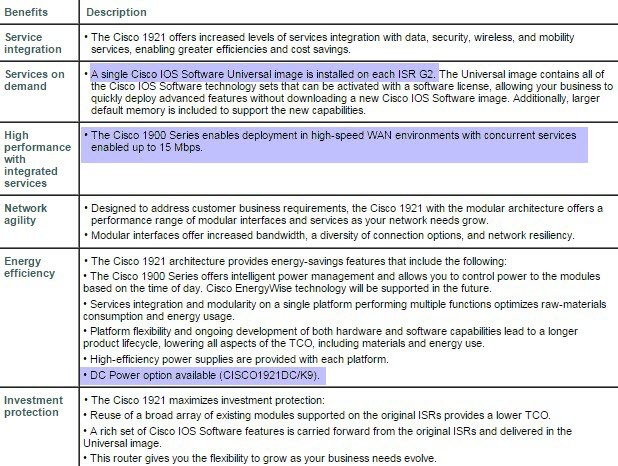 For people who get a fresh impression of Cisco 1900/Cisco 1921, they may be not sure about what they need to pay more attention, such as the benefits, the features, the specs, etc. So in this article, we will list the main points of Cisco 1921 that you need to care about while purchasing it. Cisco 1921 router has integrated IPSec and SSL VPN support with upgraded software, but like the 1841, the 1921 cannot be used as a Call Manager or voice gateway (but can still pass VoIP packets through). The Cisco 1921 is PERFECT to meet the application demands of today’s branch offices with design flexibility for future applications. Modular platform: With multiple module slots to provide connectivity and services for varied branch-office network requirements. The ISRs offer an industry-leading breadth of LAN and WAN connectivity options through modules to accommodate field upgrades to future technologies without requiring replacement of the platform. Processors: The Cisco 1921 is powered by high-performance multicore processors that support growing demands of branch-office networks by supporting high-throughput WAN requirements. Embedded IP Security/Secure Sockets Layer (IPsec/SSL) VPN hardware acceleration: Embedded hardware encryption acceleration is enhanced to provide higher scalability, which, combined with an optional Cisco IOS Security license, enables WAN link security and VPN services (both IPsec and SSL acceleration). The onboard encryption hardware outperforms the advanced integration modules (AIMs) of previous generations. Integrated Gigabit Ethernet ports: All onboard LAN and WAN ports are 10/100/1000 Gigabit Ethernet routed ports. Innovative universal-serial-bus (USB)-based console access: A new, innovative, mini-Type B USB console port supports management connectivity when traditional serial ports are not available. The traditional console and auxiliary ports are also available. You can use either the USB-based console or the RJ-45-based console port to configure the router. Optional external power supply for distribution of PoE: An optional upgrade to the power supply provides inline power (802.3af-compliant PoE) and Cisco Standard Inline Power to optional integrated switch modules. The new routers now use license keys and a universal image to determine the available features, in the same manner as a PIX or ASA. This new licensing scheme also has the benefit of producing a clear division between the version of IOS installed and the featureset installed, so you can update the IOS version without touching the featureset part, or upgrade the feature set on a router without touching the IOS file. IP Base: The default featureset; has support for common routing protocols (RIP, OSPF, EIGRP, BGP), common WAN technologies (MLPPP, MLFR), and common LAN technologies (802.1q trunking). No VPN, firewall, or voice features are present. Security: The Security featureset adds IPSec VPN capabilities, SSL VPN capabilities, and IOS firewall features. You can apply any combination of these featuresets to the router; you are not restricted to a single featureset per device. The Cisco 1921 also has a much-improved system architecture, with the EHWIC slots now having a high-throughput point to point connection, vs. the old bus-based architecture of the previous routers. So the 1921 router is a fantastic device, but with similar limitations to its predecessors – it has only a single power supply and no featureset for voice. If you wanna order a Cisco 1921 router, the following table show you the basic configuration when you select one. …Yeah, these questions you can get answers after you read the main reviews of Cisco 1921 routers.